I love talking to Mink. She tells you like it is, for better or worse. Thank you!! I have always had feelings since I can remember. I can see thru all masks. 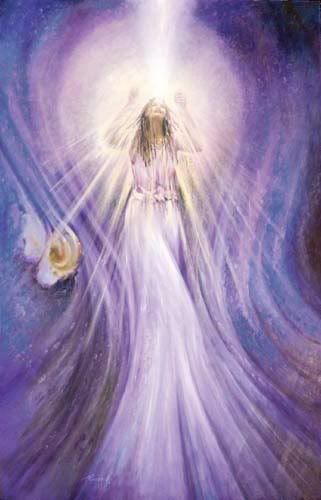 I can see the spirit world and help you to see your path. My strengths are love, guidance and guiding you on your path. I also read playing cards . When I was a child of three I was struck by lighting and my feelings became more intense. I am a Spiritual Channel and the first experience I had that validated it was when I was 5 years old. My mother, brother and sister and I were walking past the neighborhood fire house. I felt as if I had glue on my shoes I didn't want to go inside. My sister and brother were yelling at me and so finally I had to force myself to go. When we were inside I saw the man who would later hurt my mother. I saw that he would be untrue and not faithful. I told my mother and she ignored me. They dated 5 years and she was devastated when she found out he was living a double life with someone else. She now comes to me for counseling and intuitive guidance. This has given me the courage to take the step forward and share my gifts with others. Your feedback would be most appreciated. Thank you. minkadove has been a user of Keen since 2002. Getting Psychic Mediums advice from minkadove through www.keen.com is safe, secure and confidential.